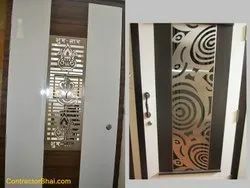 Manufacturer & Exporter of Stainless Steel Decoratives & Stainless Steel Decorative Accessories. 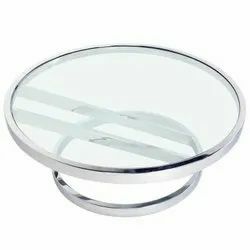 Our product range also comprises of Stainless Steel Canteen Table, Stainless Steel Trolleys and Stainless Steel Table. 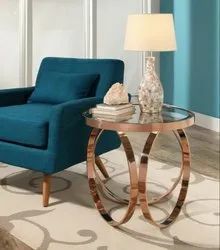 In order to keep pace with never ending demands of the customers, our company is instrumental in offering Stainless Steel Glass Table. We offer SS Laser Cutting Services. We use the latest machines to carry out the services. We customize the services to suit client specification. Services offered by us are timely, client specific and cost effective. Our comprehensive range of services that we offer in the sphere of Laser Cutting is highly appreci. With sincerity and hard work of our professionals, we have carved a niche for ourselves in this domain by offering Steel Cuttings Services. 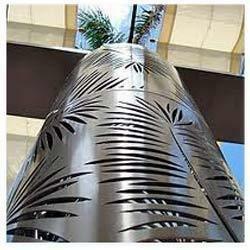 This Products is designed using Water Jet Cutting Technology. Our offered services are rendered by the team of experienced designers by utilizing cutting-edge technology. 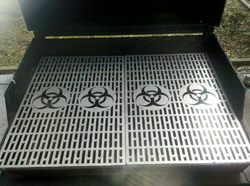 Our company is one of the widely acclaimed names that are engaged in providing Laser Cutting Grill. Laser Cutting Sheet, Over the years, we have acquired a prominent position in the market due to our utter commitment in maintaining high quality standards. This has been possible because of highly specialized and modern laser tools at our disposal.